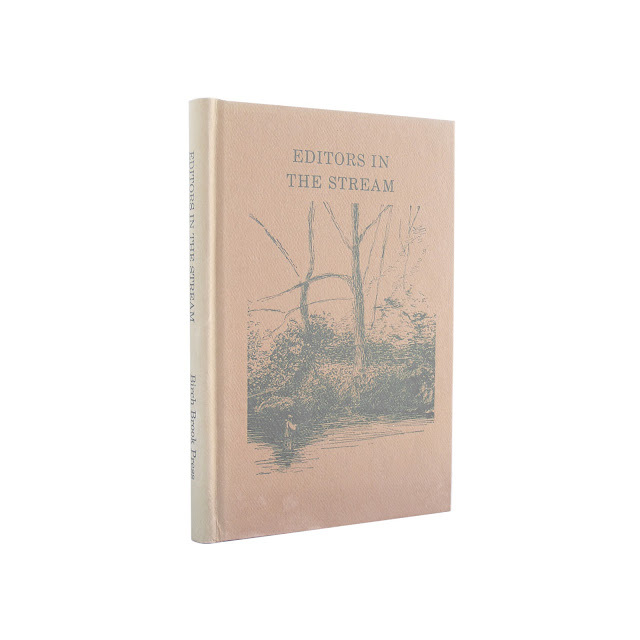 This collection of fishing essays is bound in tan boards, with dark green lettering and illustration on the front and spine. 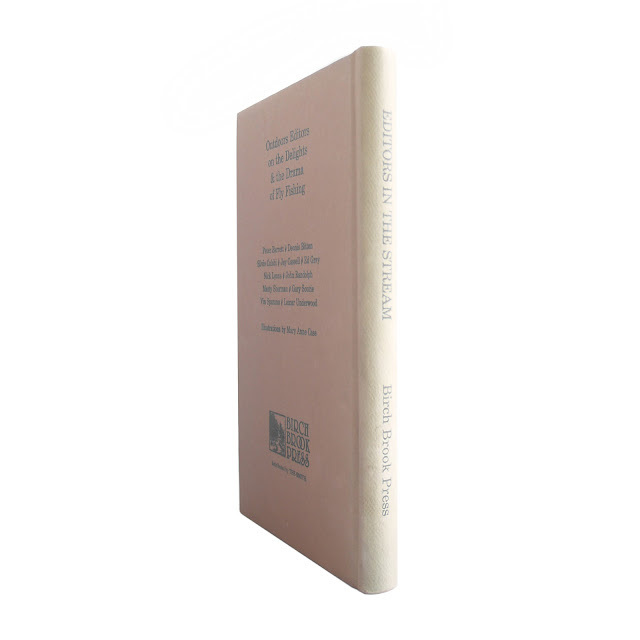 Very mild rubbing to front cover; spine faded; overall a clean, tight copy. This is No. 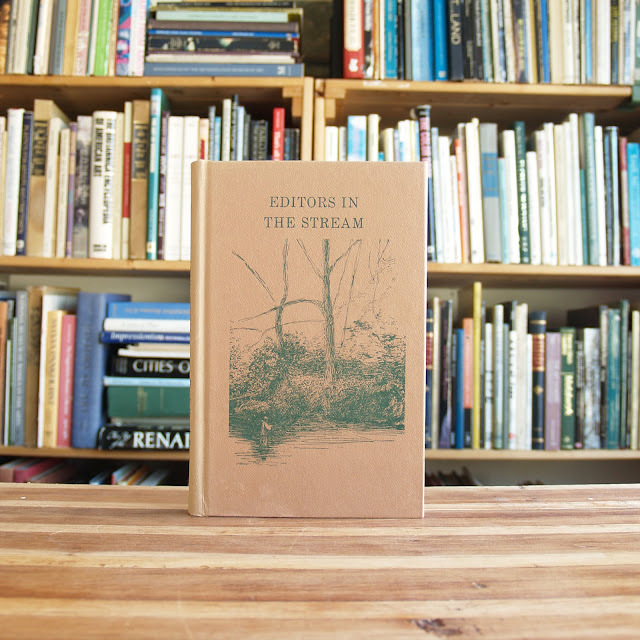 189 of a 600-copy limited-edition print run of the first edition. 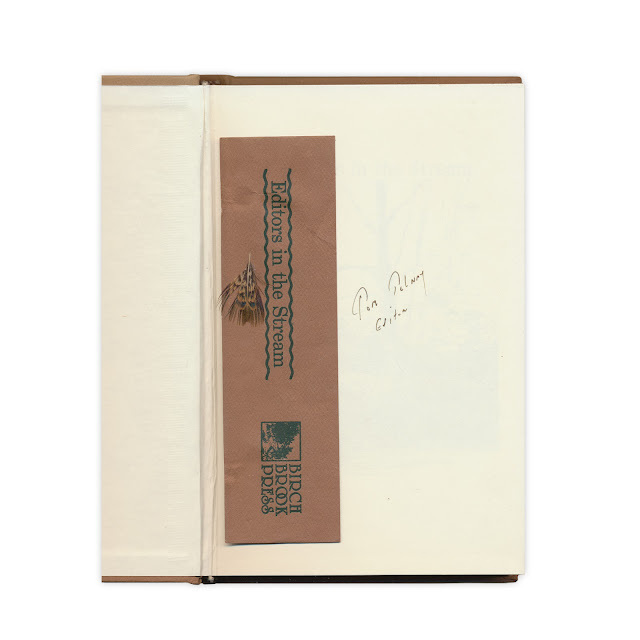 It is autographed by the editor, Tom Tolnay, on the front endpaper. 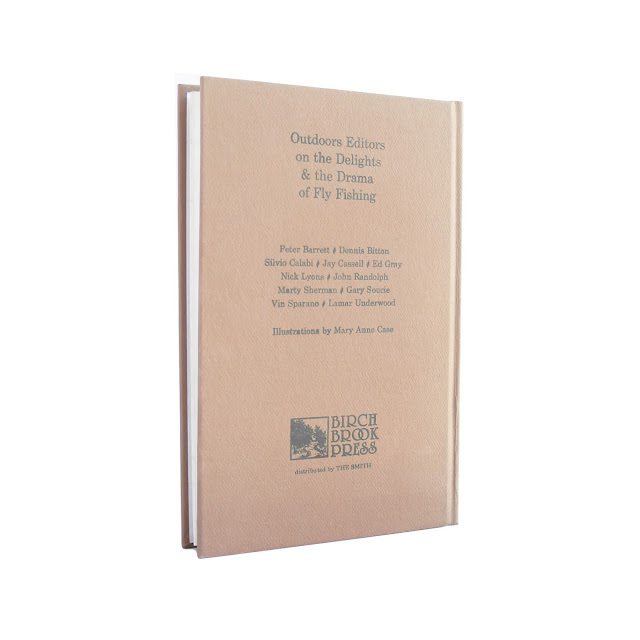 Includes publisher's bookmark with pasted-down fly feather. Illustrations by Mary Anne Case. 132 pages; approx. 6"x8".